One of our LifeTopix users recently asked about using appoint­ments versus events, and how the iOS cal­en­dar comes into play. In this post, I’ll show you how events and appointments differ, and how they work with your iOS calendar. I’ve also included a few tricks and treats to help you plan your next party — just in time for your kids’ Halloween festivities. In Life­Topix, an appointment is a doctor’s visit, meeting, lunch meeting, or other lightweight scheduled item. A LifeTopix event is something more involved, such as a wedding, birthday party, open house, etc. Unlike appointments, events allow associations with other items, such as tasks, checklists, files, etc.. We hope this helps you choose when to use appointments versus events in LifeTopix. The iOS calendar refers to items on your calendar as “events.” These items are accessible in views in LifeTopix such as What’s Next and My Calendar. If you wish, you can easily convert these items to visits, attending and hosting events, projects, or trips. The easiest way to convert these items is to tap and hold down on the appointment from the LifeTopix Home view, then select the type of item for conversion. The following screenshot shows an example of the conversion. Planning events can be tricky because there’s so many details to track. It’s impossible to keep all these items in your head. Instead of creating paper lists, printing recipes, keeping track of responses, and searching for email addresses and phone numbers, you can centralize everything in your LifeTopix app. 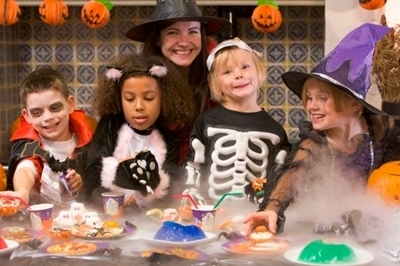 As Halloween approaches, you might be planning a party for the neighborhood children. If you would like a little help with your shopping list and menu selection, we’ve created a Pinterest Board with recipes and a shopping list. 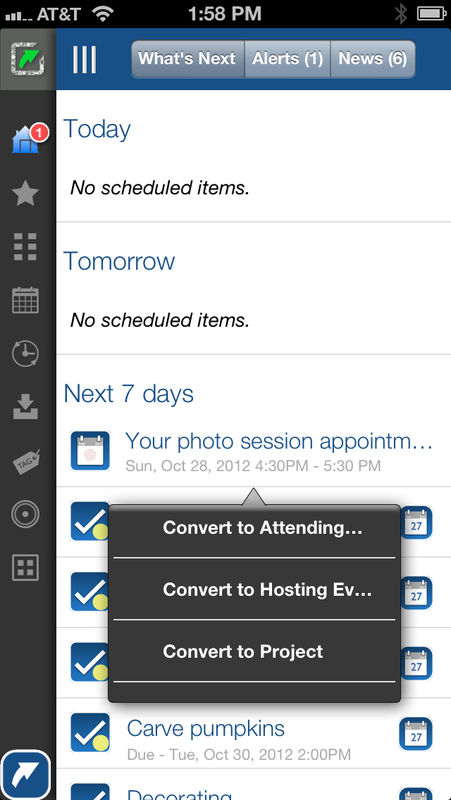 To learn more about using LifeTopix to plan your next event, refer to the following presentation. Not only does it explain how to use LifeTopix, but you might also find some tips and ideas for your next party. Hope this helps you get started with your next fun event. We welcome your event planning stories and questions. Great post which helps clarify things – thank you. I have an iOS calendar item which I converted to an appointment in LifeTopix (it is only a couple of hours long). However, I now realise that there are other things I might want to attach to it, like some tasks and notes. Is it possible for me to change the appointment to an Event? Thank you for reach­ing out to us again and thanks for the kind word. Unfortunately, you can’t convert an Appointment to an Event. We do plan to support this either in 8.1 in May, or soon thereafter. Should you have any other ques­tions or sug­ges­tions, do not hes­i­tate to con­tact us again. Thank you!! This really helps. I’m doing a GTD refresher and I am realizing just how awesome LT is! Thanks for a great product and outstanding customer service!! Looking forward to the next update.